There was no escaping racism in the 1950s, and for Nat “King” Cole (Dulé Hill), one of the first black artists to have his own variety show, it simply was omnipresent. The day is December 17, 1957. The time is 7:44pm. And Nat “King” Cole is about to perform his final Christmastime broadcast. Written by "Fear of the Walking Dead" star Colman Domingo and nationally acclaimed theatre-maker Patricia McGregor, People’s Light and Theatre’s “Lights Out” tells the story of Cole’s final broadcast. 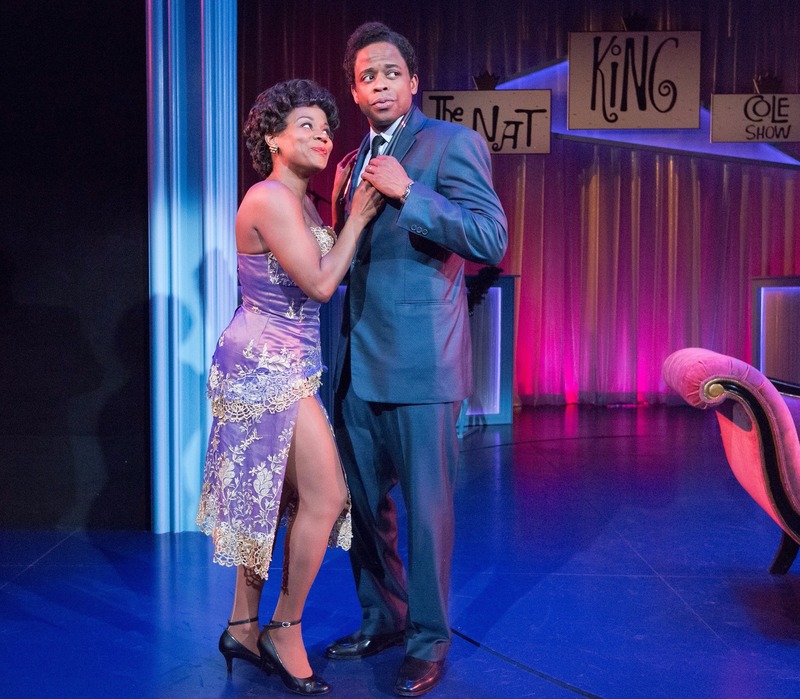 Despite his producer’s (Marc D. Donovan) wishes, Cole takes the advice of his friend, Sammy Davis Jr. (Daniel J. Watts) to “go out with a bang.” This show portrays the realities of racism faced by people of color as they continue to strive to make white audiences comfortable. The audience was deluged by the racist elements in the little moments, like when Cole tells his makeup artist to lay off the powder. “I want to recognize myself tonight,” he insists in vain. Or when the viewers use control boxes to determine the show’s reception and the ratings plummet when Cole encourages a young Billy Preston (Dayshawn Jacobs). The lights in the meter flicker out. A buzzing can be heard. Cole looks at the meters and ignores his producer’s cue cards. The meter nearly turns off completely. Berkman and Domingo had been working together since the early 2000s on other projects. 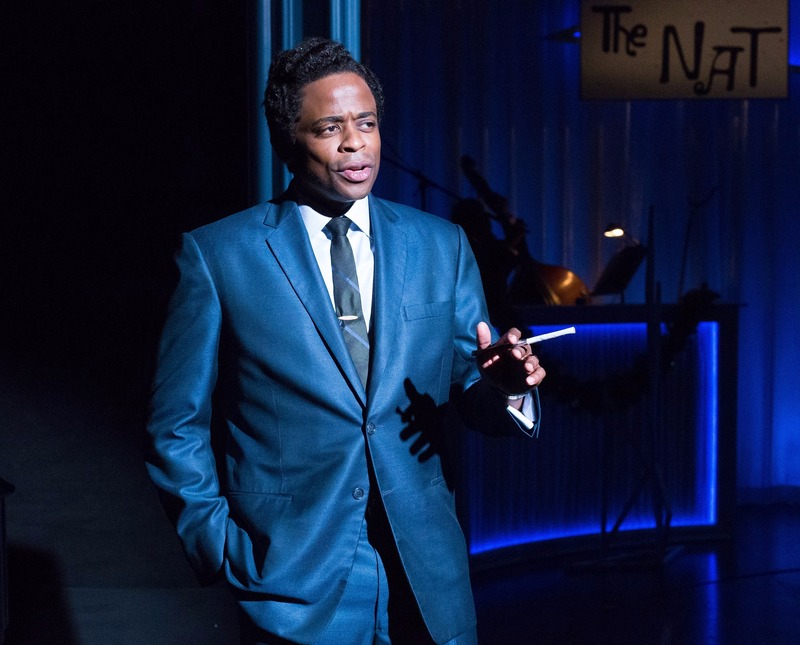 Five years ago, Berkman had contemplated the idea of producing a musical play out of Nat “King” Cole’s last broadcast to juxtapose it with the Obama presidency. I asked Berkman about this comparison between Cole and Obama. Originally, Domingo was set to be the sole author. But as Berkman watched Director Patricia McGregor work, he knew he wanted her as a co-author. “Throughout the entire play,” Berkman told me, “Cole is struggling with a choice to either go in grace or confront his inner demons and white supremacy.” The way Cole’s dialogue reveals his tumultuous emotions and the pain he’s feeling...that scene alone is reason enough to see this show. On a lighter side, Sammy Davis Jr. works as a counterbalance to Cole’s serious visage, acting in jovial commercials, duets, tap dances, and even breaking the fourth wall a couple of times. “Where are you all from?” Davis Jr. asks the real audience. A woman raises her hand. Davis Jr. points at her. “What’s your name?” he asked with a smile. I spoke with Thompson after the performance on how she enjoyed the show. Sammy Davis Jr. wasn’t supposed to be a main character; rather, a figure in the distance, someone you would only hear about occasionally. But Patricia decided to cast him after seeing how Hill and Watts worked together. But the comical and light-hearted elements only provided a slight reprieve for the darker overtones of the show. Cole had to always act a particular, “normal,” and inoffensive way. Berkman drew another comparison to Obama. But there’s something about theater that can bring all of these issues of racism to light in many different forums and styles. Theater can be a way to investigate socio-political matters and provide connections for viewers.